How does asymmetric encryption protect your privacy? The short description is that for users of this feature, incoming e-mail messages are encrypted before they’re saved onto our servers. Once a message has been encrypted, only someone who has the account password can decrypt the message. Like all safety measures, encryption is only effective if it’s used. To ensure privacy, Lavabit has developed a complex system that makes the entire encryption and decryption process transparent to the end user. This process works by combining three different encryption schemes with Elliptical Curve Cryptography (ECC) as the cornerstone. If that sounds good to you, or if you’re just interested in having a new email address with more private and secured email communications, we’re going to walk through setting up Lavabit in the default iOS Mail client. 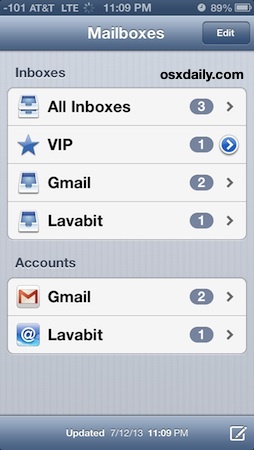 This guide will focus on adding a new secured/encrypted Lavabit email account to be used in conjunction with whatever email is already setup for use on your iPhone, iPad, or iPod touch, meaning it will work alongside any Gmail, Outlook, Yahoo, AOL, whatever account you have configured. 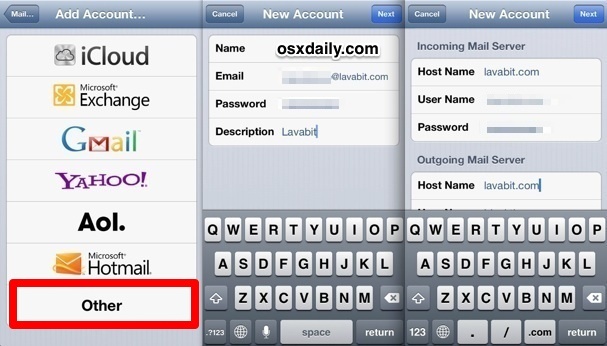 This guide works the same on all devices, whether in iOS 6 or iOS 7. Note that you can use POP or IMAP, we’ll focus on IMAP so that past emails maintain accessibility with another device and/or the lavabit webmail client. 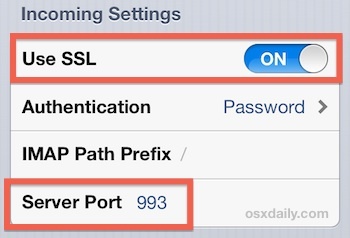 Configuration for POP3 is the same with the exception of the port number, which uses 995 rather than 993. Now visit Mail app. Do a quick test and send an email to your newly created Lavabit address from another email account. Once that email arrives, send a reply email as well to make sure all is working as intended. Note that if outgoing mail is not working, it’s probably because you did not properly configure the outgoing server port, so jump back to that portion of the walkthrough to set it. If you rushed through the setup process, iOS will configure the Lavabit email as if it was a standard mail account and the ports will not be set properly. 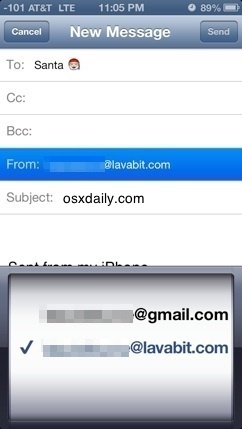 If you’ve never used multiple email addresses in iOS before, you’ll find the default view setting of Mail app is to keep the two inboxes visually merged together. To change that, or to view only messages from a single email account at a time, tap on “Mailboxes” and select “Lavabit” (or whatever other mail). Now that Lavabit is setup, sending mail from your Lavabit address is just a matter of composing a message as usual, then tapping on the “From” field to select the username@lavabit mailing address. Now you can finally send encrypted emails to and from Santa! 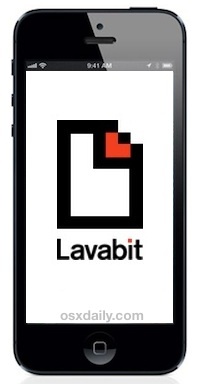 Enjoy your ultra-secured email from your iPhone, iPad, or iPod touch, and remember to never forget your lavabit password because they can not be recovered. Also, don’t forget to use a secured passcode on your iOS device so that you can curious eyes won’t be able to gain direct access to your iPhone in the event you lose the device. Lavabit.com has shut down operations.